LATEST JOB SURVEY - RecruitmentOfEngineers.ca - Engineering Jobs Posting by City Dec 2015: Mississauga ON 18%, Toronto ON 17%, Markham ON 17%, Burnaby BC 9%, Richmond BC 9%, Vancouver BC 9%, Montréal QC 4%, Ottawa ON 3%, Calgary AB 3%, Waterloo ON 2%, Edmonton AB 2%, London ON 1%, Winnipeg MB 1%, Windsor ON 1%, Other Cities 4%. Recruitment of Engineers Canada is part of the World Find Engineers Network. This network is open to recruiters and placement agencies. Please note: we are NOT a Placement Agency - we work with them - our specialty is Employment Marketing. Canadian Employment Internet Services. We specialize in engineering jobs posting and broadcasting. We work with Canadian recruiters and Canada-based placement agencies to extend the awareness of available jobs in the engineering field. 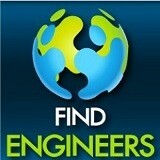 We do not hire engineers but we are good at finding them for companies. we know that Good People Are Hard To Find!